CharyJay.com: Introducing Personalized Style Cards by CharyJay!! Introducing Personalized Style Cards by CharyJay!! I've been hinting here and there that I've been working on something behind the scenes and now it's about that time that I spill the beans! Personalized Style Cards by CharyJay is my new venture that is going to help you get NEW styles that I create with your own personalized "style recipe" to help you achieve the look. Let's be real for a second. While styling tutorials are great, all of my viewers do not have the same texture and or length that I have, so I completely understand why people inbox me asking me to give them specific instructions on how to get the same look. These personalized style cards will allow you to get the instructions you need to re-create the styles and will also allow me to get to know you better. The information I get from you will also be helpful when creating future styling tutorials on my YouTube channel as well! "That all sounds great CharyJay, but how does this Personalized Style Card work?" Each month I will release two style cards (one on the first of the month and another on the 15th) and allow you the opportunity to purchase one for $5. 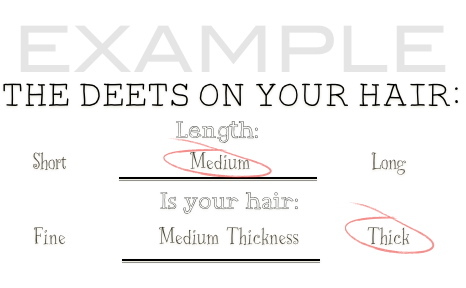 The front side of the style card will show you the style while the back of the card will give you a description of the style and a step by step process on how to create it according to the length of your hair and texture as it pertains to your hair's thickness. "How will you know what my hair length and texture is?" 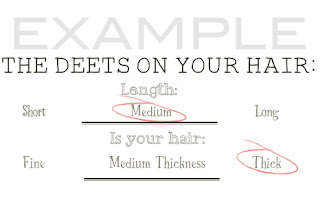 When you go to purchase a style card, you'll provide three to five sentences explaining your length and hair texture as it pertains to your hair's thickness. Please do not write me any four page letters lol. I would like to provide everyone with a style card in a timely fashion. "When will Personalized Style Cards by CharyJay become available for purchase?" The premiere style card will be available for purchase on August 1, 2012. The second style card will be available August 15, 2012. Each month thereafter a new style card will be available for purchase on those dates (1st and 15th of the month). 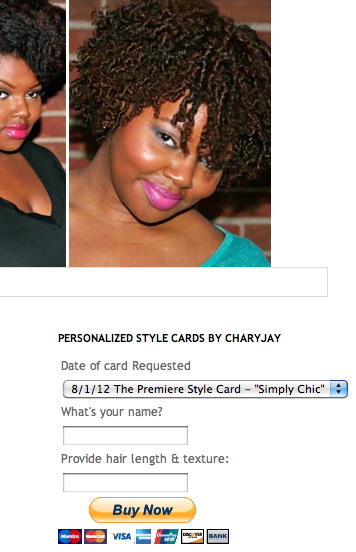 "How do I purchase a Personalized Style Card by CharyJay?" On the right side of this blog there is a side bar. The first thing you will see is a title that says "Personalized Style Cards by CharyJay." Below that is a Paypal "Buy Now" button. In the box above the button you'll select the date of the Style Card you're purchasing. This button will be shown once style cards are available for purchase. "How will I receive my style card?" Upon purchasing your style card, I will email it to the email address you used to purchase the style card with Paypal. "How long will it take for me to receive a style card after I purchase it?" Please allow up to four days to receive your style card. Since these are personalized, I have to read each email carefully to make sure I give the best instructions to each buyer so they can achieve the style with ease. The style cards will be answered according to the order they were received. For example, if you order your style card shortly after it's released, you'll get yours quicker than someone who orders a style card three days after its release. "If I try to recreate the style and it does not come out the way I expected it, will I get a refund?" Unfortunately, there will be no refunds for the style cards. If you are not happy with the outcome of the style, you are more than welcome to contact CustomerService@Chary-Jay.com to get secondary instructions and tips on how to achieve the style. 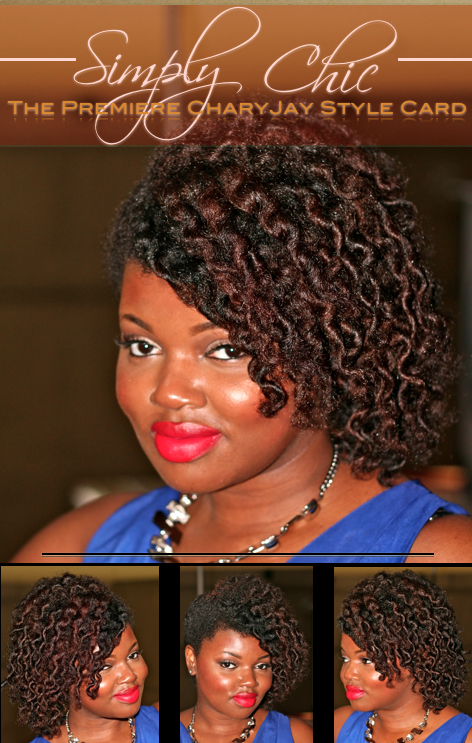 If you happen to recreate any of the Style Card looks, be sure to post them on my FaceBook fan page with you holding your style card. I'll have a photo album dedicated to "CharyJay Style Card Members" and from time to time I'll have giveaways of beauty and hair related products for those members to take part of! I'm really excited about this new venture and I hope you are too. While this is my first style card, I already have big things planned for the future! I hope you're ready to get styled! This is BIG Chary! I will be one of the first to purchase these style cards.